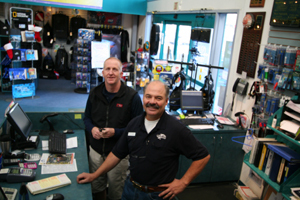 Serving SCUBA divers worldwide and the Northern California area for over 40 years! 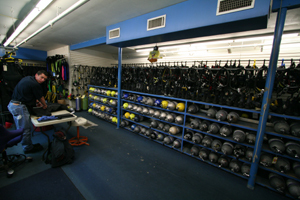 Dolphin is an SSI Diamond Instructor Training Center and is the largest in Northern California featuring premier scuba gear for both online and in-store purchase. Please call us at (800) 436-5744. --Mike Johnson has been in love with scuba diving since he was 12 years old. 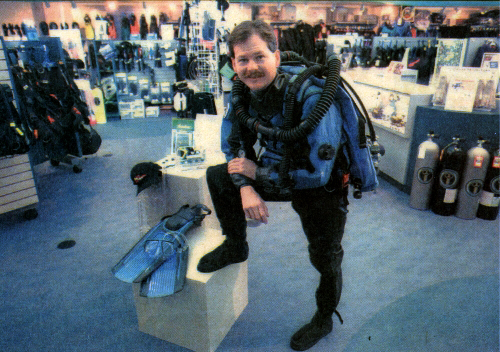 By the time he was 17, he was slinging tanks, washing down wet suits and making sales at the Dolphin Scuba Center, 1530 El Camino Ave. By 19, he was the store manager. And by 21, he was the owner. The store's founder, Ken Schroeder, had been forced into bankruptcy, and despite the debts and financial obligations, the two worked to get the business back on track. "That was kind of like my test, if you will," Johnson said. And in 1986 Schroeder offered him the keys. Johnson borrowed $10,000 from his grandmother, and Schroeder, who died three years ago after suffering a heart attack, agreed to carry the paper. 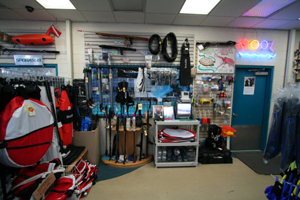 The little dive shop has expanded since then. 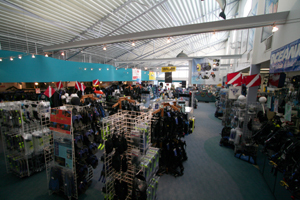 It is now considered one of the largest scuba retail outlets in the western hemisphere with reported gross sales of more than $2 million, a customer base of 23,000 people, and 23 employees. To accommodate that growth, Johnson decided three years ago to upgrade the 12,000-square-foot facility by adding more than 5,000 square feet. The new and improved Dolphin Scuba Center will show off its $750,000-plus remodel with a ribbon-cutting ceremony Thursday morning. "In 1994, the business had been growing by leaps and bounds and we just flat ran out of space," said Johnson, now 32. "We could no longer handle it." There now are three classrooms, a repair shop run by Johnson's father, Jan Johnson, and ample parking in the new adjacent lot. The spacious retail showroom has a 50-foot window that looks out onto the 92-degree swimming pool where he offers everything from "Mommy and me" swim classes to snorkeling to the most advanced dive programs. 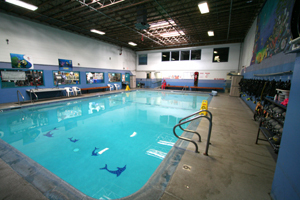 The business has been rated a five-star Instructor Development Center by the Professional Association of Diving Instructors. About 1,000 divers a year receive their certification there, proving that deep-sea diving is popular even in land-locked Sacramento. "I definitely think it is a growth sport, and I also think that no one has done the dive industry justice with proper merchandising and having product in stock," Johnson said. He said he wants to take the scuba diving industry out of the "Mom and Pop" realm. Johnson says that when he first started, a big day in sales was about $750. Now he says he has $8,000 and even $12,000 days. Comparable to skiing, the sport of diving takes an initial investment of about $800 to $1,800 to cover the cost of the equipment, which, he says, "lasts a long, long time." A few years ago, Johnson opened a second location, Dolphin II, at Sunrise Boulevard and Coloma Road in Rancho Cordova, but has since sold it. "At the time, I thought I would have a lot of little stores in the area and just one main location. But it didn't work quite like I wanted. People want to come to a facility where they can get everything in one place," Johnson said. "I kind of revamped my strategy a little bit. I decided that I would try and shoot for one mega-store." Running a business that is also one's hobby has its pluses. Johnson has been all over the globe on dive trips - the Solomon Islands, Fiji, the Caribbean, Papua New Guinea, the Red Sea and the Palau Islands. "No dive is ever the same," he says. "The colors underwater are far more vibrant than anything you'd find on land - the reds and yellows and purples are just unbelievable." Mike Johnson, Owner. Photo taken 1997.